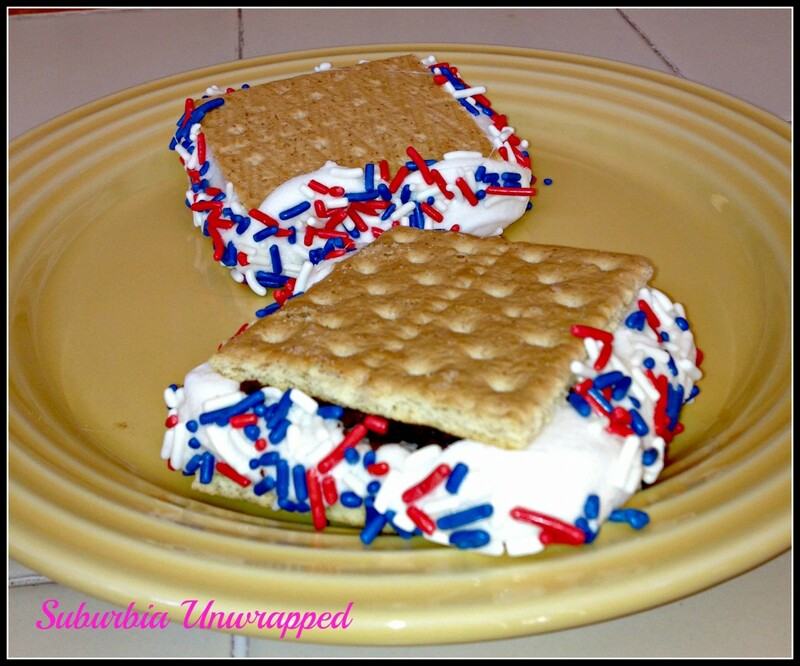 Home » Recipes » Desserts » 4th of July desserts: Patriotic S’mores! Directions: On a plate place the 2 graham cracker halves. Top one with chocolate and the other with the halved marshmallows. 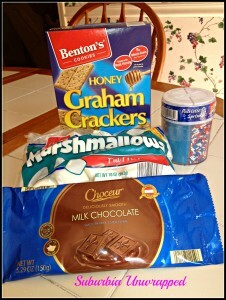 (4 halves each) Microwave for 15 to 20 seconds until chocolate is soft and marshmallows are gooey. Place the 2 halves together, forcing a bit of marshmallow out the edges. Place sprinkles on a plate and dip the edges of the S’more in the sprinkle until it is covered all the way around. The great thing about these S’mores is that there is no fire required! What are your favorite 4th of July desserts? S’mores? Red, white and blue Popsicle? Maybe a cake decorated like the flag of the United States? If you are looking for other creative 4th of July desserts come check out my 4th of July desserts board on Pinterest! 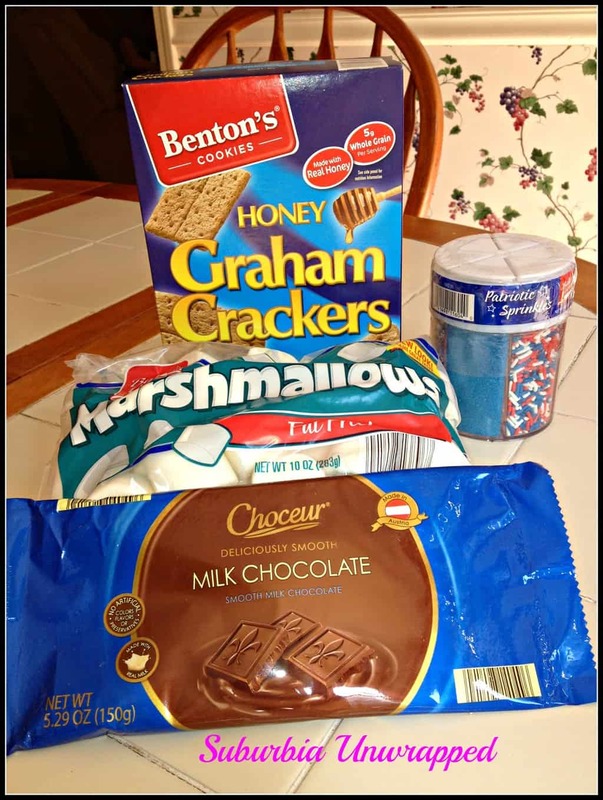 When you are considering where to purchase your supplies for that upcoming 4th of July party, keep Aldi’s in mind. They have a great selection of summer essentials like lemonade, ribs, ice cream toppings and many other products. Check out their store locator to find a location near you to help you create some great 4th of July desserts!